WCHM is the world's only free online magazine covering all topics under pressure: wound care, diving medicine, and hyperbaric medicine. It is now in its ninth year! Press Release from Smith & Nephew announcing the first and only Medtech innovation briefing (MIB) published by the UK’s National Institute for Health and Care Excellence (NICE) on a Negative Pressure Wound Therapy (NPWT) device for preventing surgical site complications (SSCs). 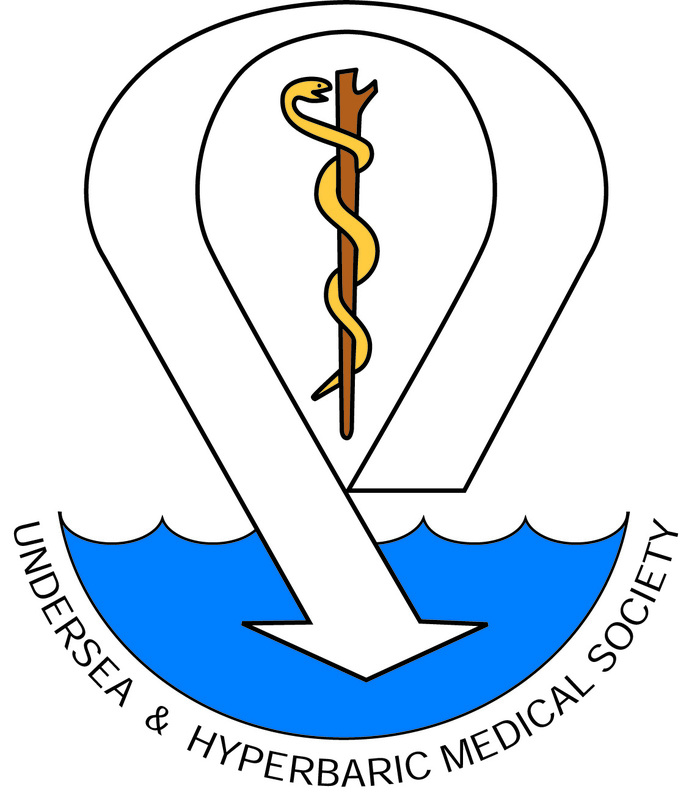 Diving with Disabilities, Part 3 discusses previous medical problems of diving and provides resources for divers with handicaps. Thanks to these sponsors, we are able to offer you the high quality and engaging content of WCHM Magazine for free! Advancing Hyperbaric Medicine - Sechrist Industries has developed and manufactured hyperbaric chambers for over 35 years. Sechrist identifies and fulfills health-care opportunities that will improve the quality of patient care, add convenience and efficiency for the practitioner, and provide cost-effective technology applications that result in increased shareholder value. Join us for the largest consumer scuba & dive travel show in America! WoundReference is a one-stop shop decision support platform for experienced and new hyperbaric and wound care clinicians. WoundReference empowers you to: Be on top of the latest evidence and reimbursement data anytime; Expedite patient care and elevate patient confidence in clinical decisions; Save time and money - streamline workflow. At Wound Care Education Partners your education is our business! WCEP takes special pride in being able to deliver nationally accredited, world-class educational courses to our client's doorstep. Offering hyperbaric team training customized for your facility, as well as the most complete suite of online CME/CEU courses in hyperbaric medicine. Have you ever wanted to get an article you authored in front of an audience of thousands of wound care and hyperbaric medicine practitioners? Now is your chance! 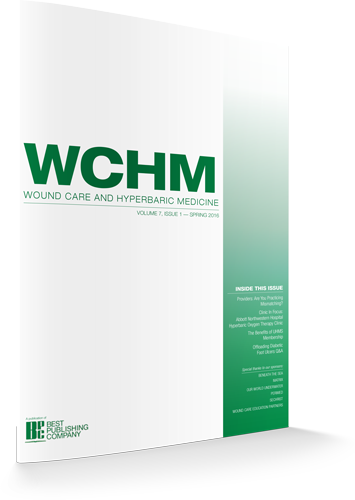 We invite you to submit your articles to Wound Care & Hyperbaric Medicine Magazine. Please contact info@bestpub.com or call 561-776-6066. We invite you to join our elite group of WCHM advertisers and reach your target audience! Marketing/advertising packages are available to fit your needs and budget. Please contact info@bestpub.com or call 561-776-6066 for more details.